We’re off to San Francisco but the airplane was delayed, and to spare some time, we went to Buffalo Wild Wings at JFK Terminal 4. I’ve been this branch once before and I remember everything was so slow, and this time, it’s the same. One person was on the phone but didn’t care about us, other employees were at the floor but never came, then my husband talked to one of the employees at the bar and finally one of them came to take us to a table. Though we’re seated with menus, nobody came to take our orders like before. 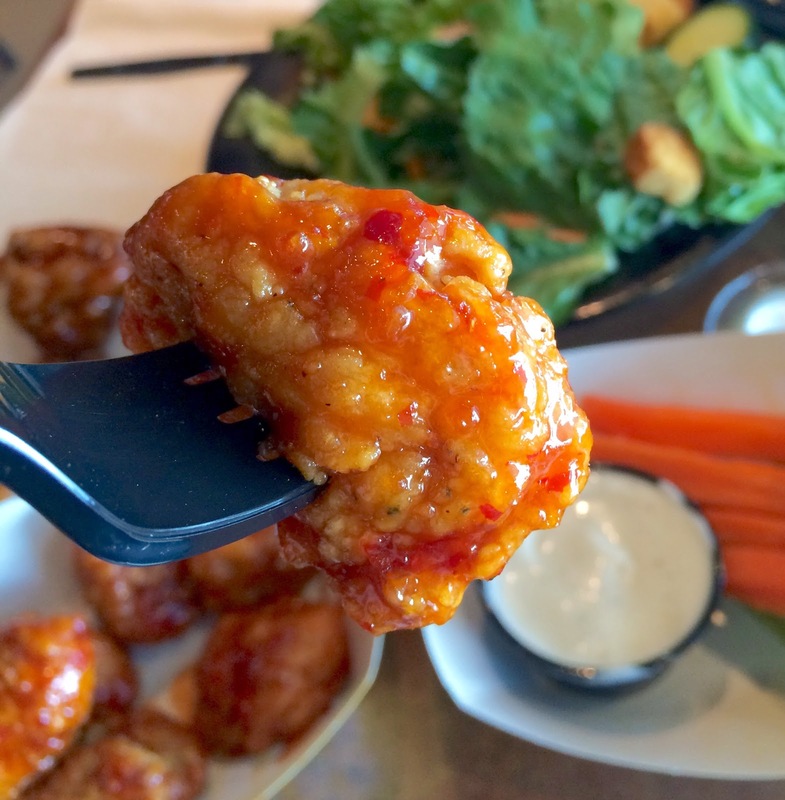 We tried Asian Zing for the first time, and it’s placed in the middle of the sauce scale, so it’s not gonna be spicy-hot. Luckily they noticed that they didn’t provide us anything so that soon those were brought. Asian Zing looked like chili sauce for spring rolls and there’re chopped hot peppers in the sauce. 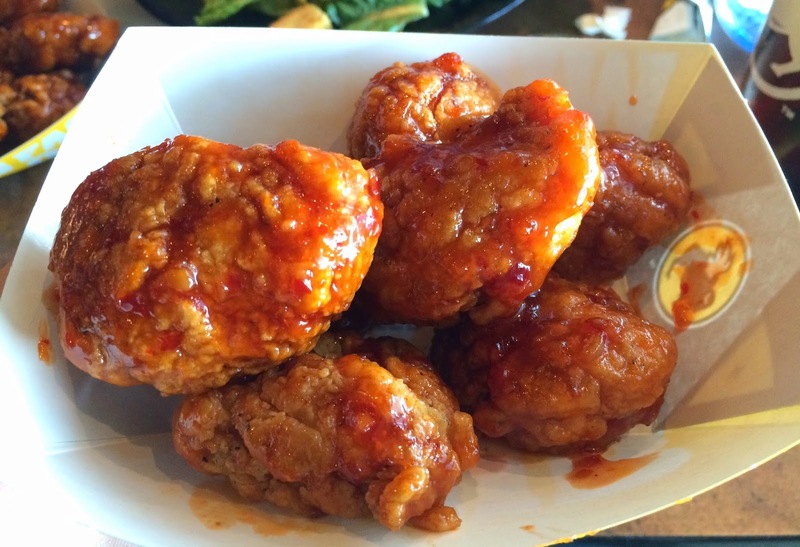 It had some sourness and starchy texture with sweet flavor, and it tasted like chili sauce to me. It had ginger (and garlic?) flavor so that it’s refreshing. When my husband had the last piece of Asian Zing, the piece didn’t have any chicken but BREAD. Yes, you read it right, bread. 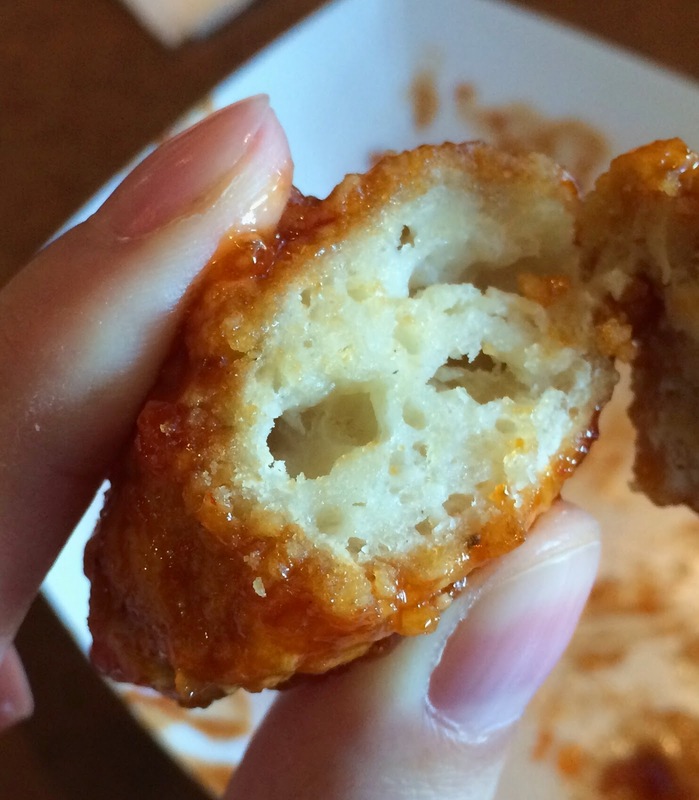 As you can see, there’s no chicken but dough with some air bubbles coated with breading and sauce. It’s one of the most disgusting things to see in the foods provided at restaurants. 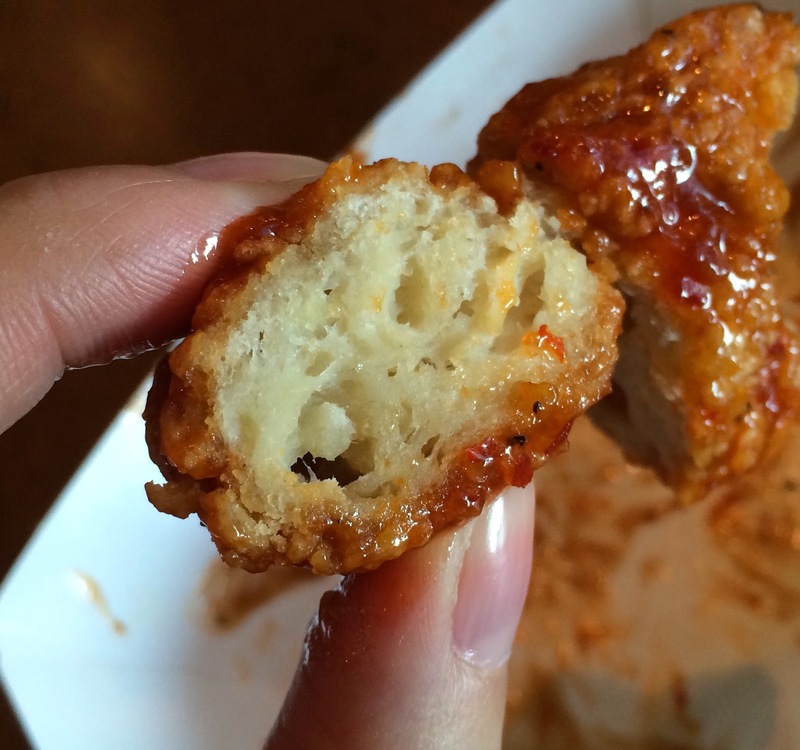 We showed it to a waitress when we paid, but she only said, “Oh, sorry about that,” and it made me think it’s not extraordinary and I thought this bread-covered-with-breading-and-fried-piece is what they call “boneless” and serve at Buffalo Wild Wings, or at least JFK branch. * Afterwards, I contacted BWW via internet but never gotten a further answer than auto-reply about my complaint, then I sent another mail about it after more than a month later, then they contacted me some days later saying my mail address was error and they couldn't send an e-mail to me. They said that this happens time to time, and it didn't sound like they will improve anything but let me know "this happens." Besides their slow service and reluctant employees, this “non-chicken boneless chickens,” I don’t think I’ll visit there for a while. 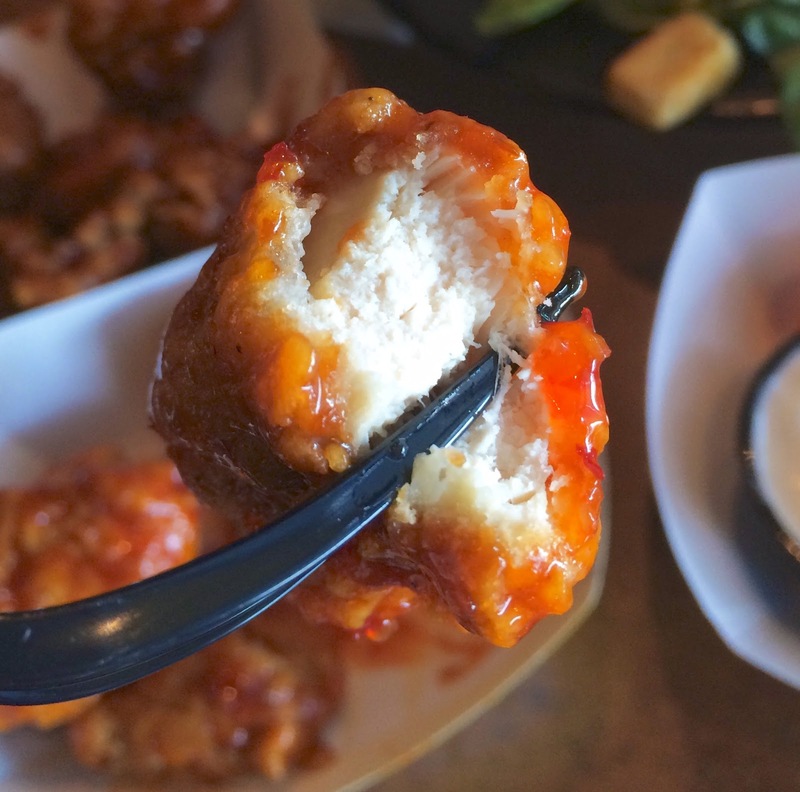 Other review of Buffalo Wild Wings. I don't know how they can mistake a piece of bread for a piece of chicken. I'm just hoping that they won't repeat the same mistake! Imagine it's the reversed version and they serve it to a vegetarian!! I know!!! I'm like "I eat pretty much everything" but those who has allergies, food restrictions and preferences would have been devastated if it had been the converse.